Current Govt issue. 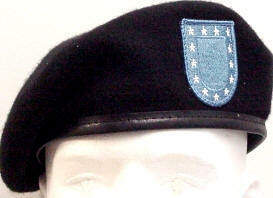 Black beret with blue flash. G.I. 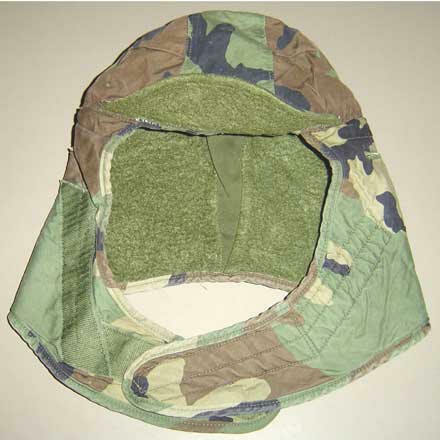 Style Cold Weather Woodland Camo Helmet Liner is insulated and fleece-lined, with hook & loop velcro enclosure. Amazing Deal! Own a genuine Air Force Enlisted Men's cap for only $9.95! Due to a large Gov't order that was cancelled, we are overstocked! Navy Blue - Emblem included!